The Murray Steel Products profiling and processing team have an ideal set-up to supply custom steel components to rail industry contractors working on OLE, signalling, bridge building and station renewal projects. 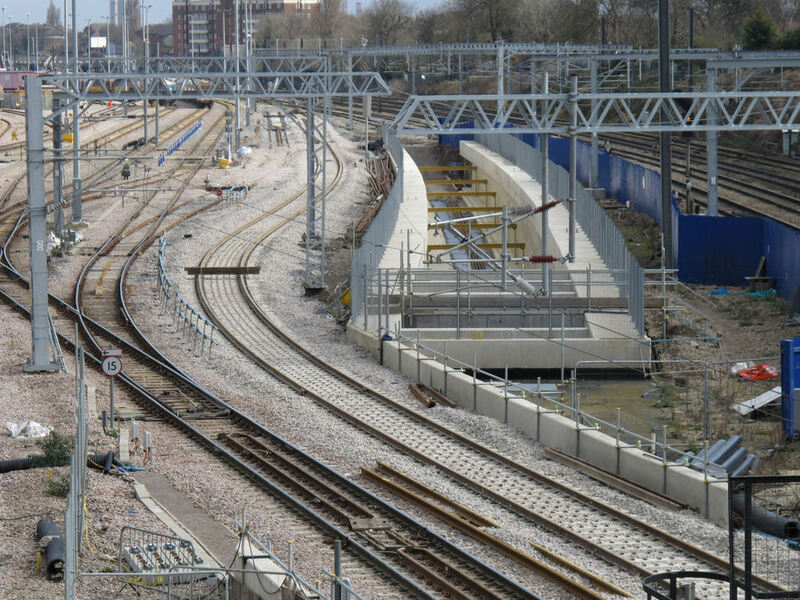 Our in-house ISO 9001 and CE Execution Class 4 accredited processing facility has previously manufactured a range of items for use in Crossrail, Network Rail and TfL projects, including mast bases, mono anchor booms and components for rail bridges and footbridges. In addition to an experienced team, our processing operation is equipped with state-of-the-art profiling, cutting and drilling machinery that guarantees a high degree of accuracy, reducing the cost and time of your fabrication work. It also gives us the capability to manufacture large components - we can supply profiled steel plate in thicknesses up to 400mm and dimensionally we can cut up to 24 metres in length and 5 metres wide - in the volumes needed for major projects. The set-up is backed by an in-house CAD team, who will transform your complex designs into highly-accurate cutting programs and nests that maximise material yield to help manage your costs. Murray Steel Products are also one of the biggest suppliers of steel plate in the UK and have large stocks of certified materials available, helping to reduce lead times for our processing and profiling team. If you require steel components for OLE booms and masts, signal gantries or bridges manufacturing, contact us on 0114 250 3602 or via the website to organise a quote.